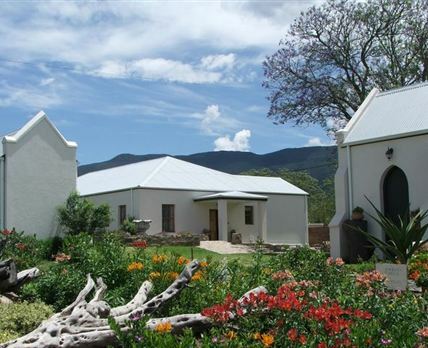 Angler & Antelope Guest House: Centrally situated in the town of Somerset East, which is nestled at the foot of the Boschberg Mountain, the Angler and Antelope exudes peace and tranquility. The feeling of space is extended from the garden into the rooms and bathrooms. Whether you want to just relax and sit outside with the mountain for company, or are more energetic and would like to partake in the plethora of outdoor activities, Somerset East is for you. The Angler and Antelope offers so much more than just accommodation. Fly fish for seven freshwater species, or partake in any other the myriad of other outdoor or cultural activities. Accommodation is provided in six luxury en-suite bedrooms where you can enjoy crisp cotton percale and goose down duvets with mohair blankets, DStv, underfloor heating and air-conditioning. The Angler and Antelope specialises in wild fly fishing in the Karoo, with our in-house REFF IS accredited fly fishing guide to assist you. A fully stocked fly fishing shop on the premises promises glimpses of monster fish, and specially tied “guide’s choice” flies to make your dreams a reality. And once you’ve caught the monster, you can celebrate the day at Nigel’s Pub, sampling our extensive collection of malt whiskey’s. Click here to enquire at Angler & Antelope Guest House.